Laura McKinney’s homebred Clever Triad sprinted to front-running 1 3/4-length victory in Saturday’s featured eighth race to cap a four-win afternoon for jockey Kevin Gomez. Sent off at 5-1 in a field of eight 3-year-olds and up for the $42,000 entry level allowance, Clever Triad ($13.20) ran 5 1/2 furlongs in 1:01.99 over a firm Bowl Game turf course for his second win from seven career starts. 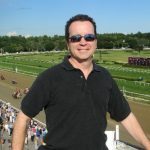 On a day where the temperature reached the mid-90s, Gomez also finished first aboard Tiz Emily and Jill ($6.20) in the second race, 2-year-old Stay Thirsty colt Alwaysmining ($8.20) in the fourth and Lily Rae ($12) in the sixth. Since triumphing at Leopardstown in the 2,000 Guineas Trial Stakes, Gustav Klimt has lost his way in the 2018 flat season. Aidan O’Brien’s charge delivered an outstanding performance to triumph in the first race of his campaign, raising expectations for the term ahead. However, he was well off the pace in the 2,000 Guineas Stakes at Newmarket, finishing well off the pace. He has not returned to the winners’ circle since, with O’Brien in need of his starlet to find the form in the back end of the season. 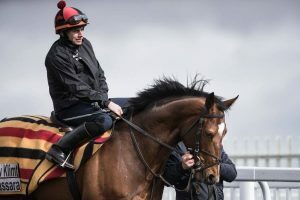 There are ample opportunities for the three-year-old to shine, including the Sussex Stakes at Glorious Goodwood, and it’s worth monitoring his odds at williamhill.com as he’s not short on quality. Gustav Klimt made his debut last season at the Irish EBF Maiden in Curragh. O’Brien’s charge did not mark his opening race with a victory, placing in fifth, despite being considered one of the leading contenders for the meet. The bay colt bounced back with by securing his first victory in the Barronstown Stud Irish European Breeders Fund at Curragh with Ryan Moore in the saddle. He had the pace down the stretch to finish one-and-three-quarter lengths ahead of the rest of the field. The Irish horse built off his success by triumphing in his first Class One outing in the Superlative Stakes at Newmarket. Moore put the horse in position off the leading group in the early stages of the race, but was forced into action two furlongs out as pressure emerged from the rear. O’Brien’s charge had the surge on the outside and had just enough pace down the stretch to beat out Nebo by a head to claim the win, ending his term on a high note. He returned for the new campaign and sent down a statement at the 2,000 Guineas Trial Stakes, finished ahead of Imaging, and two of his stable-mates Kenya and US Navy Flag with a confident run. However, he could not sustain his momentum at Newmarket in the 2,000 Guineas Stakes. Against elite competition, Gustav Klimt failed to find his rhythm as Saxon Warrior took the crown. As a result of his underwhelming performance at the Guineas, he was not expected to challenge for the Irish 2,000 Guineas in Curragh. 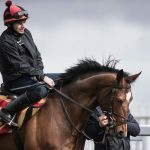 Donnacha O’Brien took to the saddle and there was a keen battle between two of the Aiden O’Brien horses as US Navy Flag competed against the Irish horse. However, both of the competitors were outdone down the stretch by the speed of outsider Romanised who took the crown, while US Navy Flag edged out Gustav Klimt for second. The three-year-old had the chance to secure a major win at Royal Ascot at the St James’s Palace Stakes where he faced off against Without Parole. With Donnacha O’Brien in the saddle, he went toe-to-toe with John Gosden’s charge down the stretch after a balanced contest. However, Without Parole just had the pace down the final furlong to clinch the win by half-a-length. There’s time for Gustav Klimt to make an impact in the decisive meets down the season to ensure that his 2018 season does not end in disappointment.